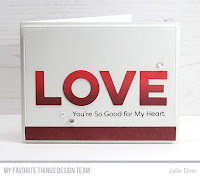 I have a few more cards to share with you today that feature products from the new Heart Art Card Kit. This amazing kit will be available on Tuesday, January 22 at 10am EST. 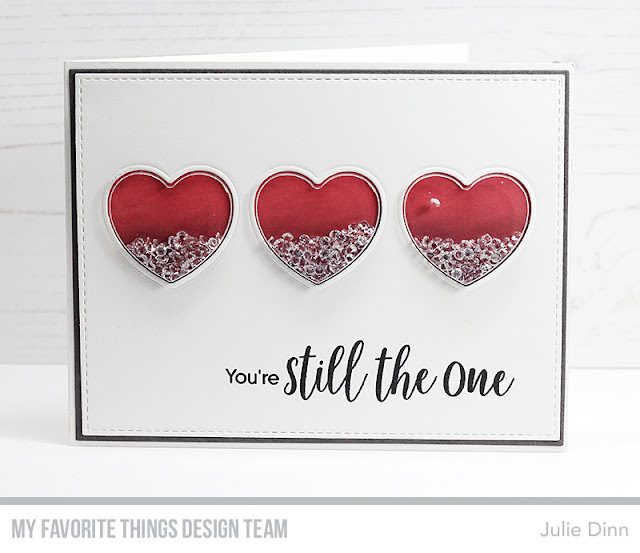 I created a sweet shaker card with the Heart Trio Shaker Window Die-namics and the Heart Trio Shaker Pouches. To create the background colour for the hearts I used Abandoned Coral and Aged Mahogany Oxide Ink. 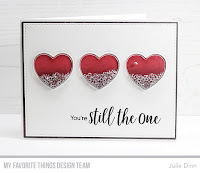 I filled the shakers with some Sparkling Crystals and I finished off the card with a sentiment from the Sweet Nothings stamp set. For my second card I inked up some Smooth White card stock with Abandoned Coral and Aged Mahogany Oxide ink. I then die-cut the card stock with the Double the Love Die-namics. I paired the die-cut with a sentiment from the I Heart Celebrating stamp set. I finished off the card with some Clear Round Drops. 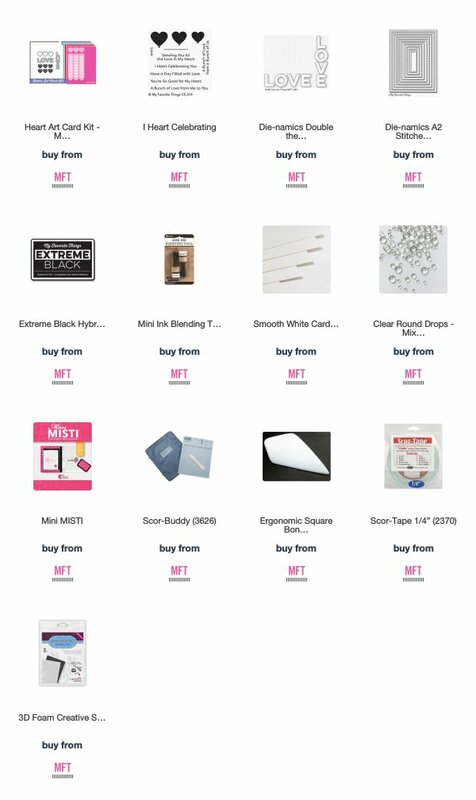 Awesome MFT Kit! 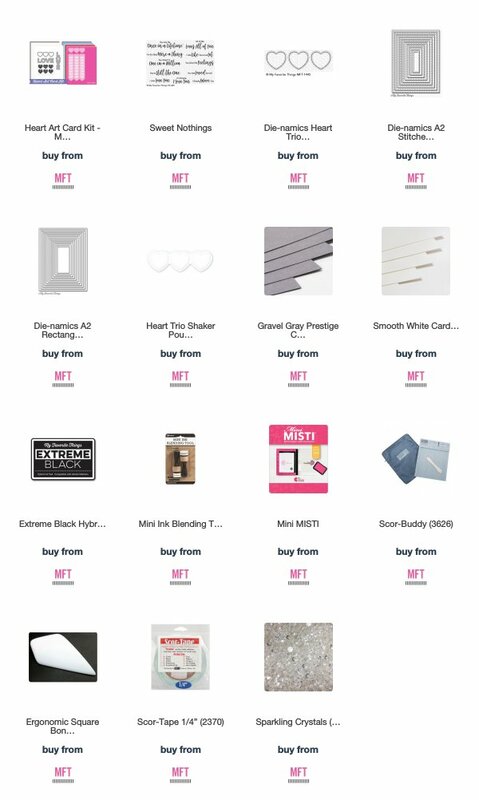 Love your cards, especially the shaker! Both cards are so pretty Julie! Thanks for sharing your ideas for using this new release. Love the beautiful clean design!! beautiful cards, I love the crystals in the shaker card.